You Got This! 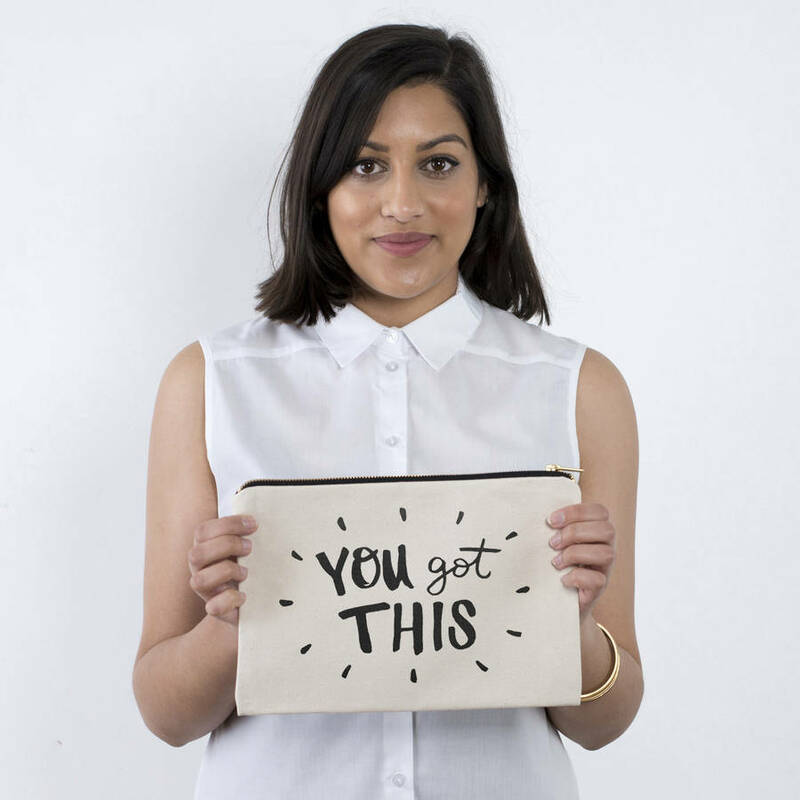 An upbeat and motivational clutch bag from Alphabet Bags. 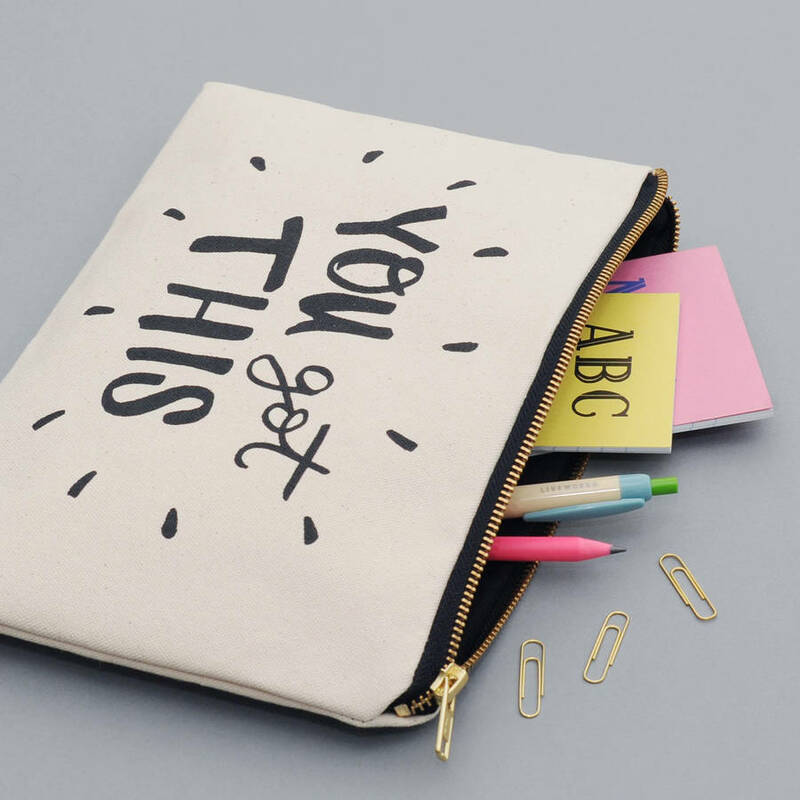 Our canvas pouches make fantastic anytime clutch bags and are perfect for carrying your handbag essentials. 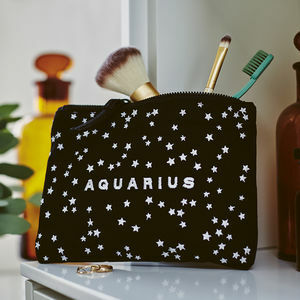 They also make great makeup bags, pencil cases and are terribly useful when traveling. 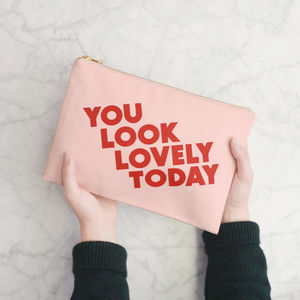 Makes a great gift for fabulous friends, super sisters and marvelous mothers. 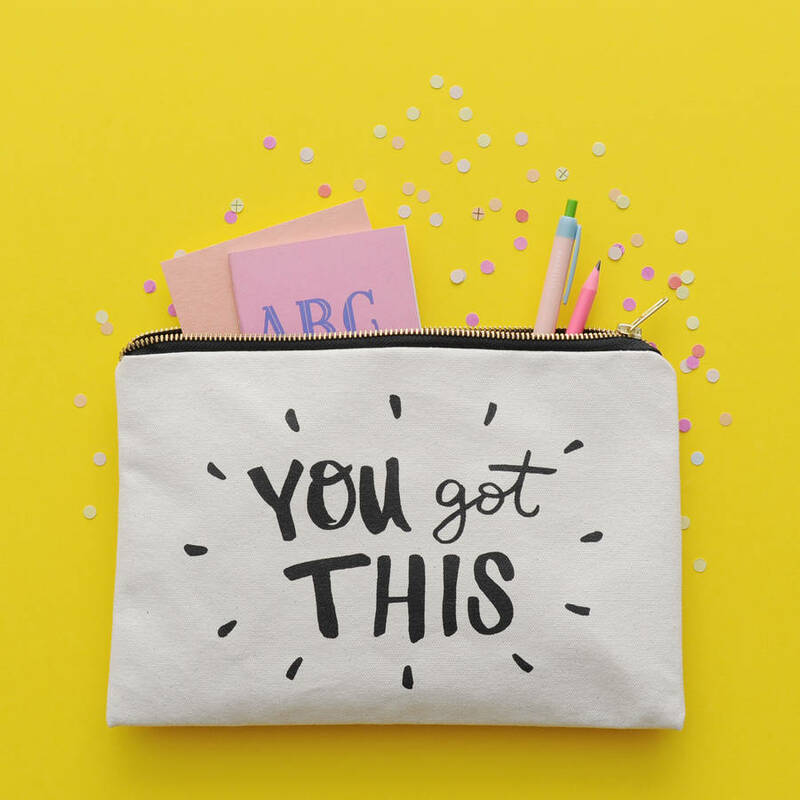 The hand drawn 'You Got This' design has been screen printed in black ink onto lovely thick canvas with a black cotton lining. 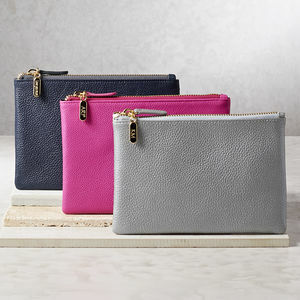 The pouches have been lovingly stitched and printed in the UK, complete with a heavy-duty gold-colour zip. 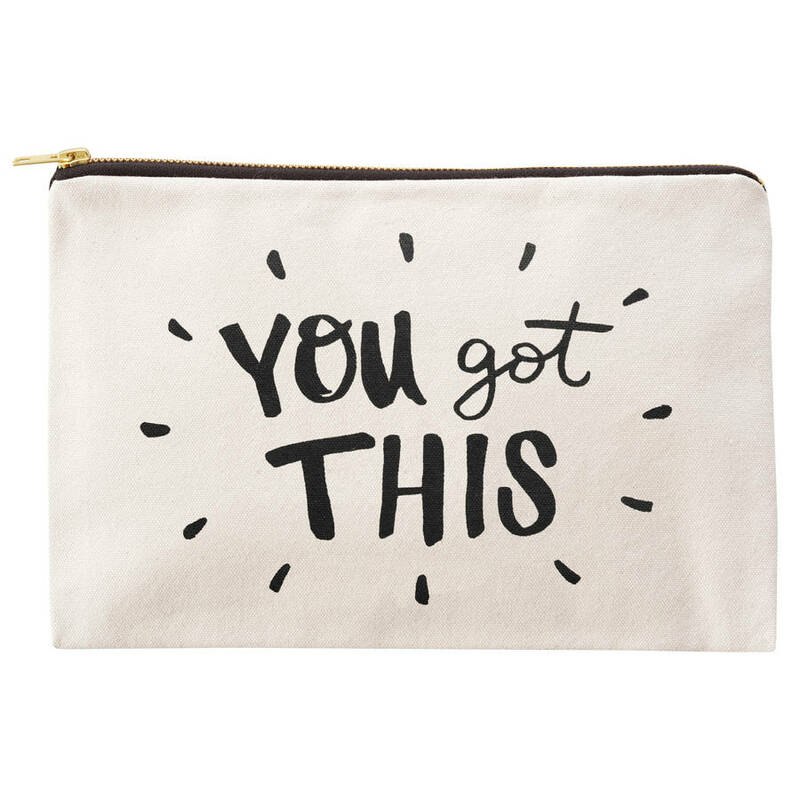 No matter what the situation, with this pouch by your side you can handle anything! 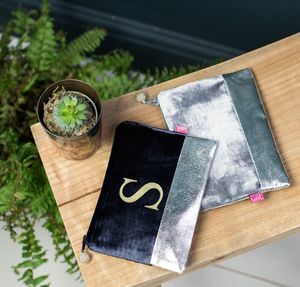 Available with an optional confetti print embossed gift box and hand written gift message (please scroll through photos for image of the gift box). 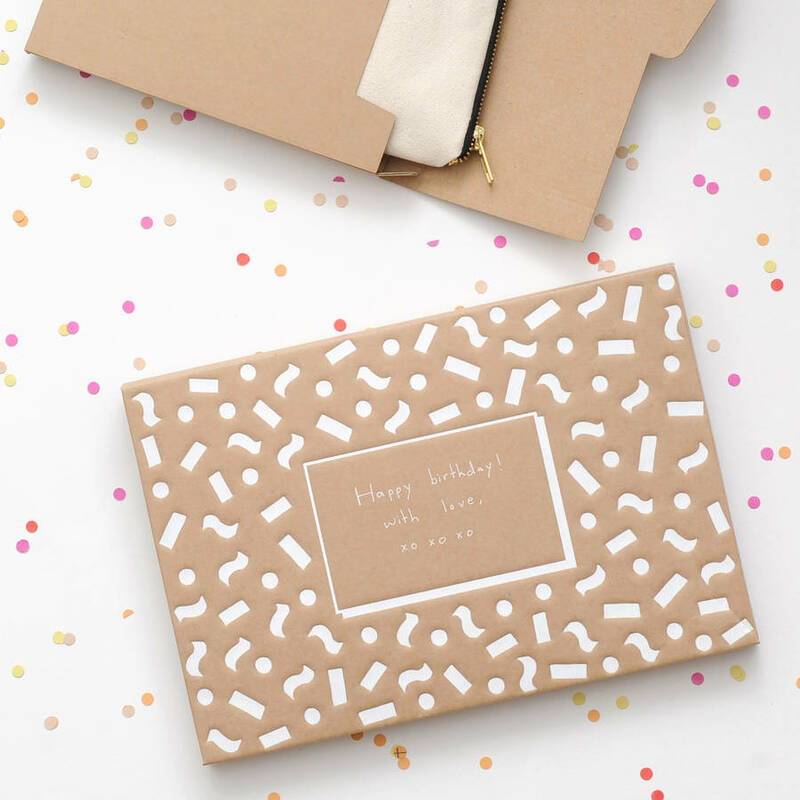 If you'd like a gift box please select this using the drop down menu to the right. 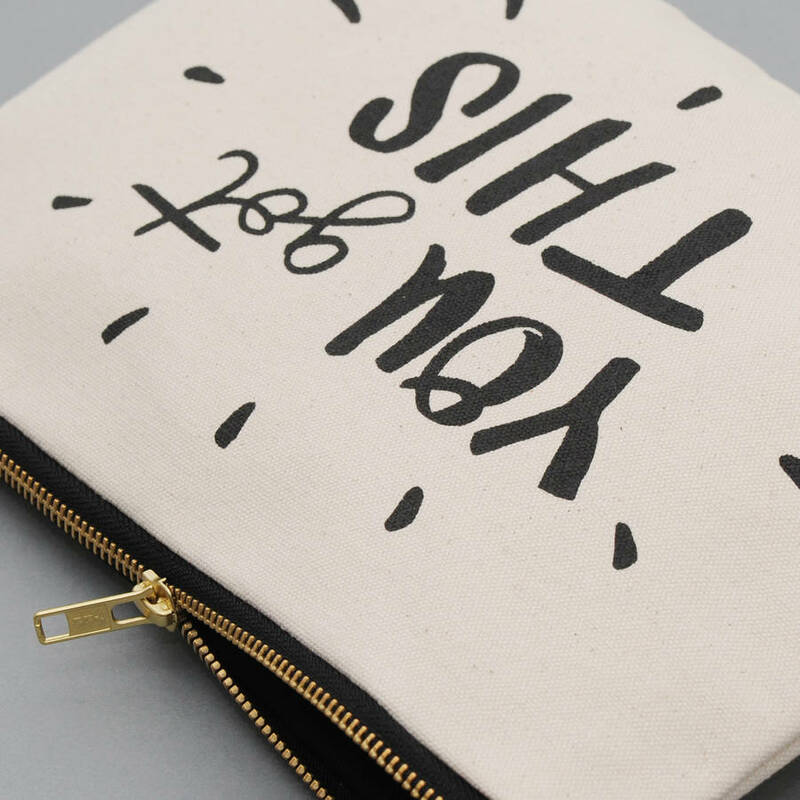 Heavy natural canvas with a black cotton lining and heavy-duty gold colour zip. Screen-printed in black ink.